The island of Providenciales, Turks and Caicos is a true community in every aspect of the word. Warmth is not only felt from the consistent sunshine all year round but also from the sense of fellowship displayed by each person who calls the island home. It is with this sense of togetherness and love for Provo, in which we have played an active role in its growth since first opening in 1999, that has led Ocean Club Resorts to begin a partnership with Pack for a Purpose. Together with Pack for a Purpose, we are able to encourage our guests and staff to assist in providing local primary and high schools with the supplies students need to further their education. This past week’s endeavor to support local schools in Provo through this program was led by Sonia Williams, General Manager at Ocean Club. 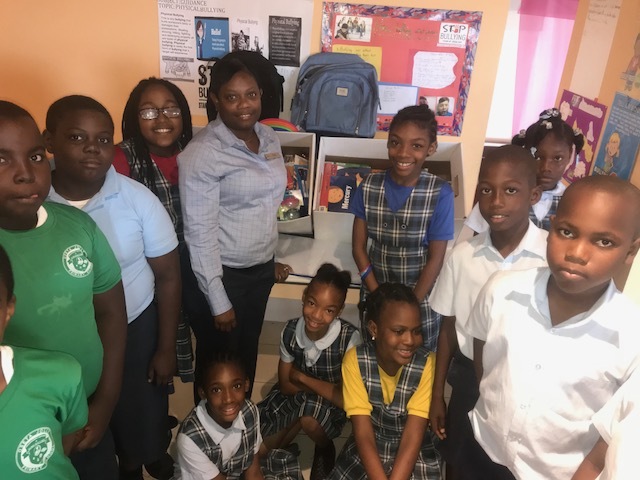 Based on the donations provided, Sonia was able to deliver the notebooks, writing utensils, backpacks and additional school supplies necessary for each student to successfully learn. The students at Oseta Jolly Primary School and the Ianthe Pratt Primary School are now better equipped to learn and continue to advance in their pathways to furthering their education. Ocean Club Resorts believes in the importance of not only investing in but truly taking a hands-on approach in supporting the educational advancement of each child. Education is the key to ensuring children on the island are equipped with the tools essential in having successful and prosperous futures. Through this partnership with Pack for a Purpose, the next generation will be able to advance the island of Provo beyond their community’s imagination. For more information on Ocean Club Resorts and their work with the Pack for a Purpose program, visit www.oceanclubresorts.com.